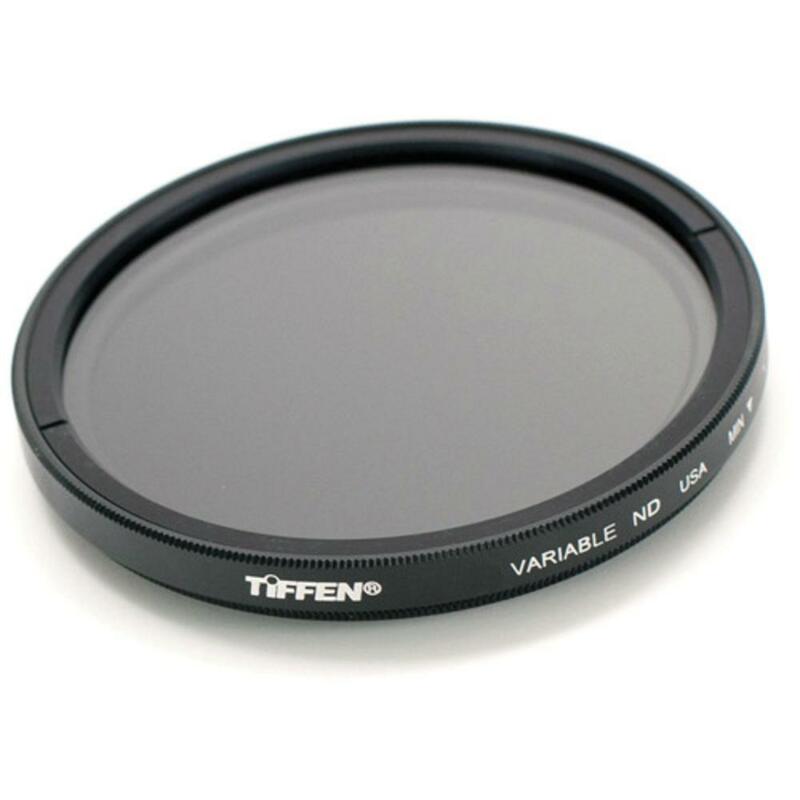 Tiffen Variable Neutral Density 62mm Filter is screwed onto any lens with a 62mm front element diameter. The rotating ring on the filter allows you to choose the degree of neutral density, or light coming into the lens. This allows you to shoot long exposures during the day or at wide apertures with strobes that have been maxed out on shutter sync speed. This is a great tool when paired with slow shutter speeds for blurred water and streaks of light. It will also control overexposure when shooting wide open. Notes: Be certain to pay extra attention to your focus when using the heavier densities on this filter. Switching to manual focus is sometimes necessary. This filter is compatible with both film and digital systems. To find out what lenses will fit this filter, please refer to our Filter Size Guide.